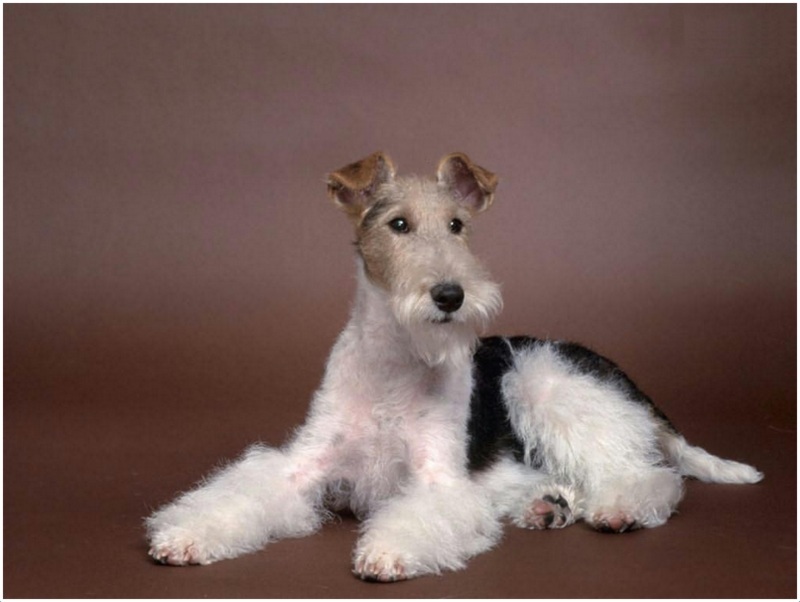 The Wire Fox Terrier is originated in England and is a small sized dog breed. 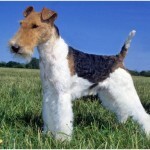 It was said to be developed using rough-coated black and tan working terrier (extinct), Derbyshire and Durham. It was used to chase the foxes by the fox hunters. 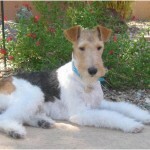 The other names for this dog are Wire Hair fox Terrier, Wirehaired Terrier and Fox Terrier. It can also be called with the nickname Wire. 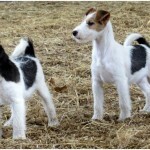 This dog looks like a smooth fox terrier, but it has been developed separately. 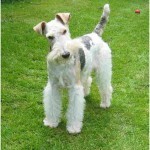 The temperament of this dog is friendly, intelligent, alert and enthusiastic. It needs long time to be friends with the cats. This dog becomes friends with other dogs in a short period. 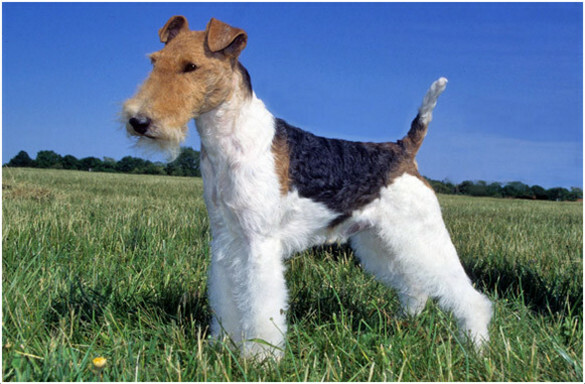 The Wire Fox Terrier dog is hypoallergenic. 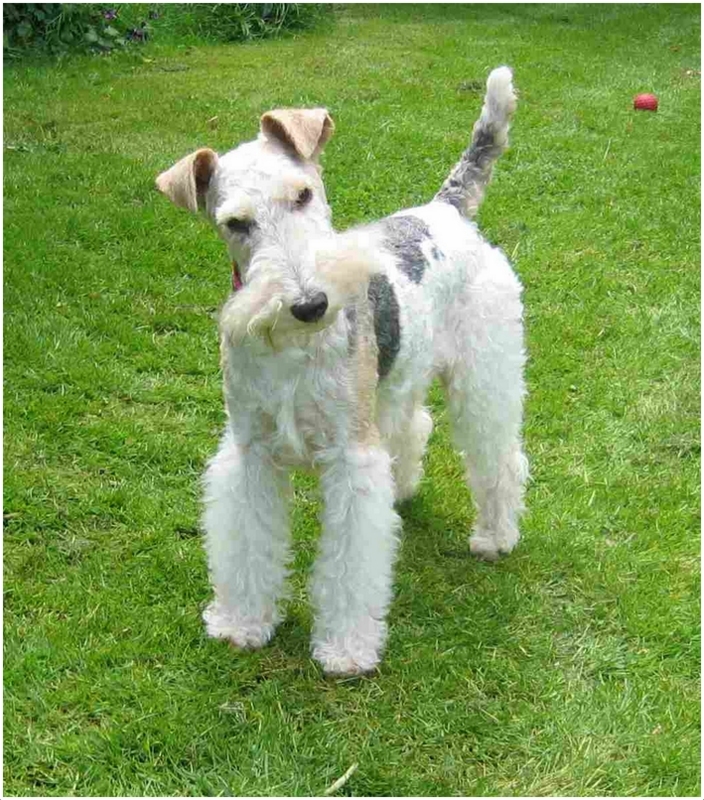 This dog can be trained easily and early stage training is preferred for the dog. If it is hard to train this dog, then crate training is recommended. 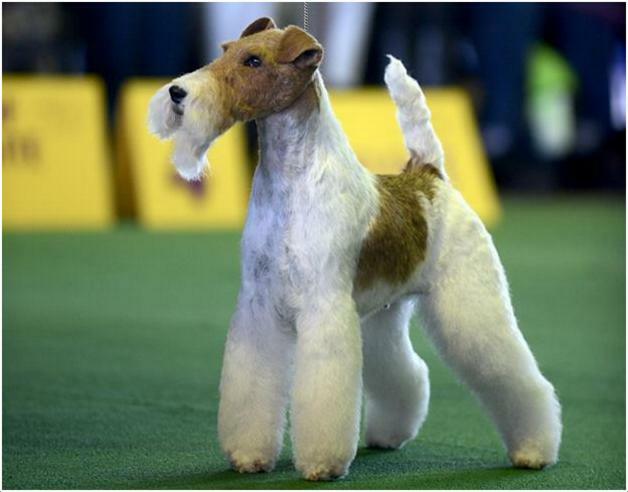 The price of this dog is about $500 to $800. It barks heavily and is said to be the best watchdog. 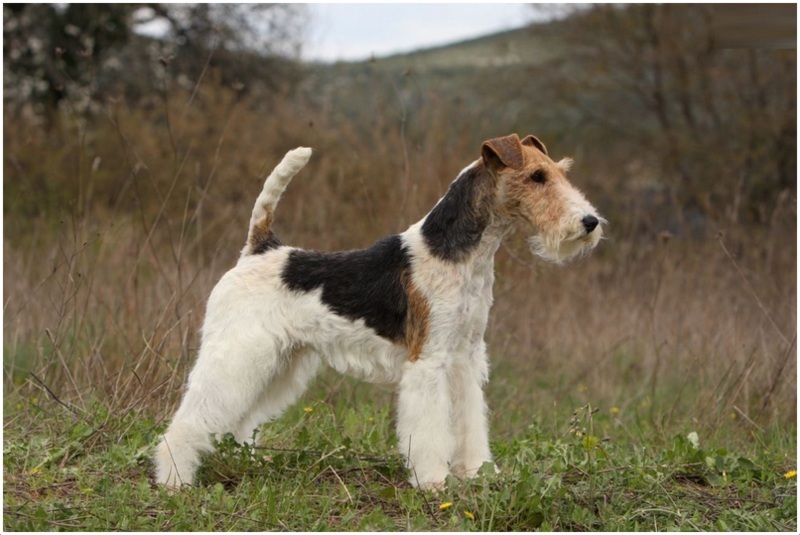 The Wire Fox Terrier is good at hunting, tracking, agility and performing tricks. 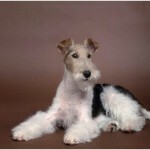 The Wire Fox Terrier dog seems small to medium in size with the staring legs. 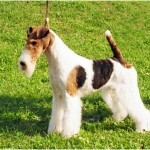 The eyes of the dog are dark in color whereas the tail is set high. The v-shaped ears fall down towards the eyes and it has a black nose. 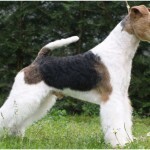 The outer coat of the dog is smooth, dense and wiry, and it has a soft and short undercoat. 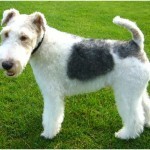 Generally, this dog is seen in white color with black or brown markings, and sometimes in tricolor. 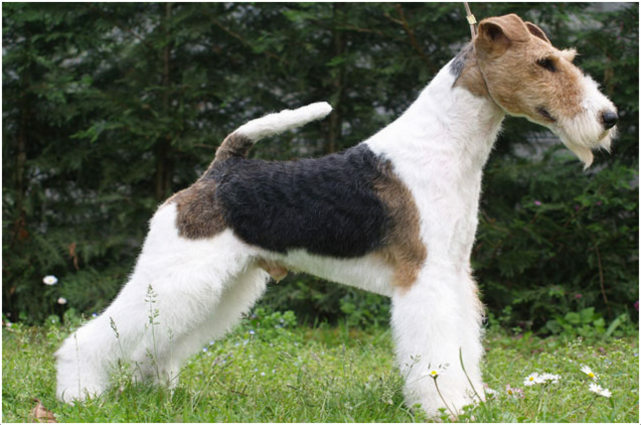 The height of the male dog is about 14-16 inches (36-41 cm) while the female dog is about 13-15 inches (33-38 cm) in height. 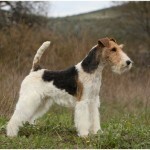 The weight of the male dog is said to be 15-20 lb (7-9 kg) and the female dog weighs about 13-18 lb (6-8 kg). 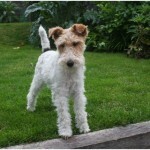 The Wire Fox Terrier dog is intelligent, alert, energetic and enthusiastic. 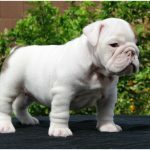 This dog will be loyal towards the family and likes to play with the family members most of the time. Due to its hunting skills, it may chase small animals and movable objects, so the owners should supervise the dog properly. Proper care should be taken whenever the dog is with the younger kids. 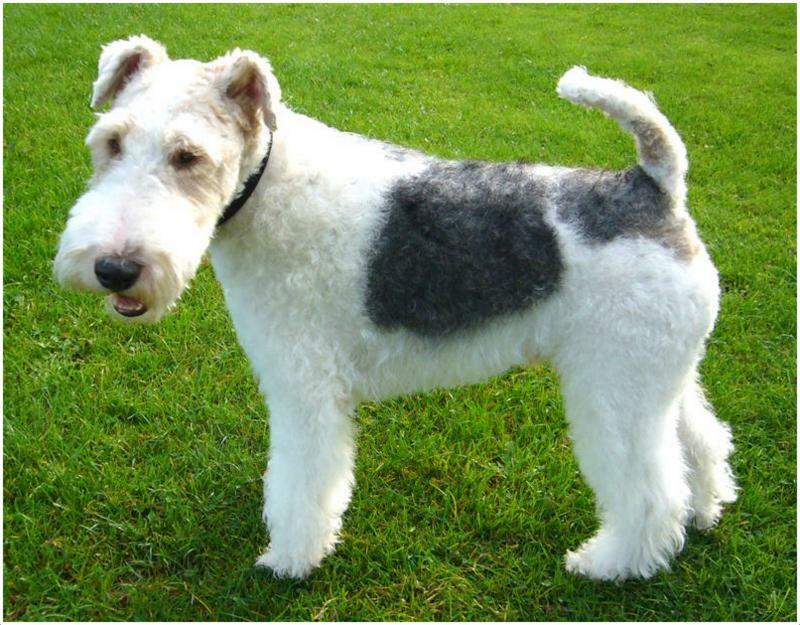 The Wire Fox Terrier dog is healthy and active all the time, but it may be prone to few minor health disorders. The common health issues that may affect this dog are cataracts, lens luxation, canine hip dysplasia, Legg-Perthes disease, deafness, post nasal drip and mast cell tumors. Not very major health issues are seen in the dog, but it may be prone few minor issues. These can be cured and taken care if the dog is raised with proper attention. In case of any unusual symptoms, consult the vet and take required precautions. Make sure to prepare a food schedule for the dog and feed it healthy and high-quality food accordingly. Make a habit for the dog to eat the food two times a day and avoid over feeding. For drinking, always use clean drinking water. 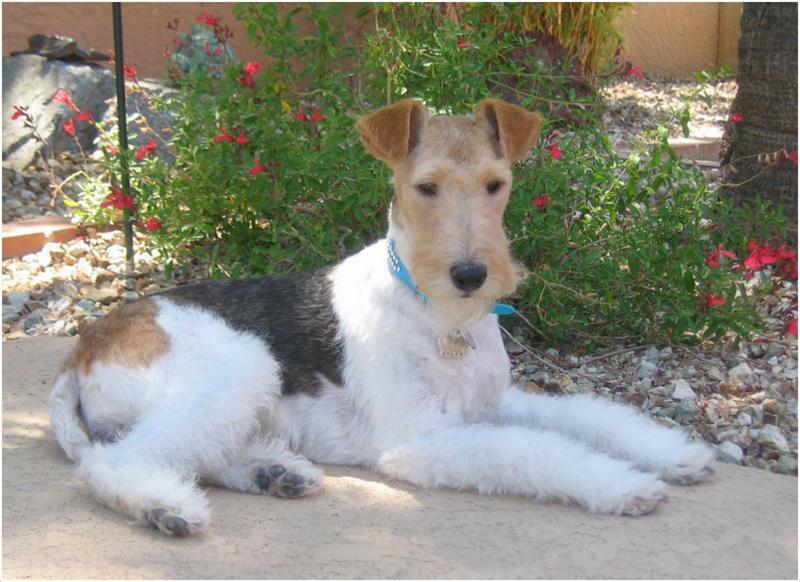 The Wire Fox Terrier is okay for the apartment living only if the owner gives it a regular exercise, so that dog will be active indoors. 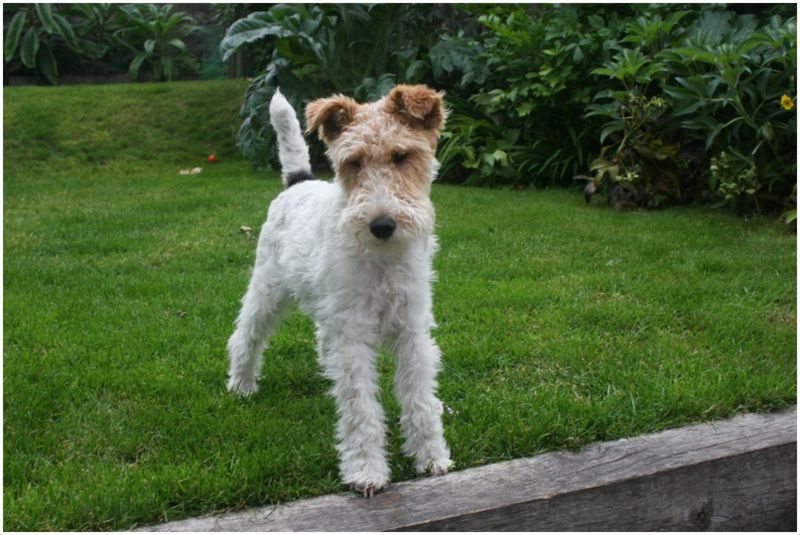 Also, if a fenced yard is available then it may suits well for the dog as it likes to run and play. This dog needs regular exercise to keep it active and energetic. Also, daily long walk or jog is preferable for the dog so that it can stay fit all the time. But whenever the dog is outside, it may chase small animals due to its hunting skills, so supervise the dog all the time. 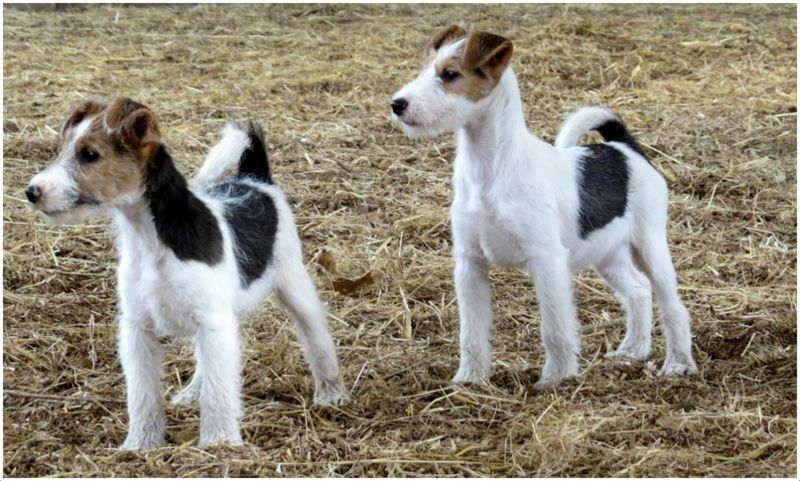 The Wire Fox Terrier can give birth to an average of 2 to 5 puppies. Raise the small puppies with special care and do not let small kids to go near them as they may handle them harshly or in a rough manner. 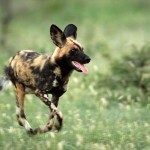 This dog has high hunting capabilities and likes to go after the small animals and moving objects. 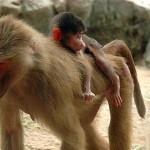 Due to this, sometimes it may possess danger from other big animals. So, do not let the dog to go away from you as it will be safe under human protection. 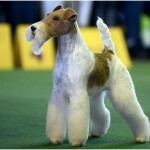 The Wire Fox Terrier dog needs professional grooming and this should be done after attaining a proper age. 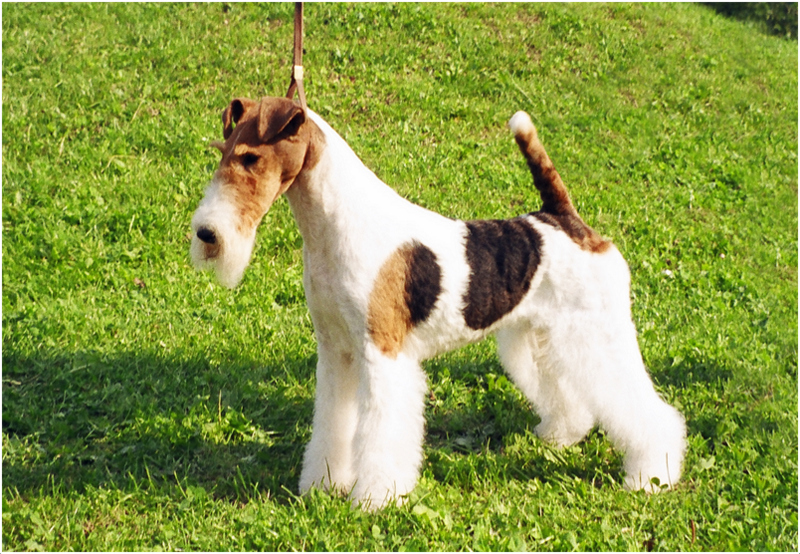 The average lifespan of the Wire Fox Terrier is said to be 12 to 14 years. 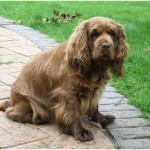 But few dogs live more than 15 years and it is possible only if they are raised with proper care and affection. 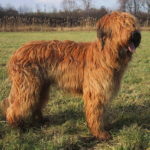 The coat of the dog should be brushed regularly and make it bathe occasionally. 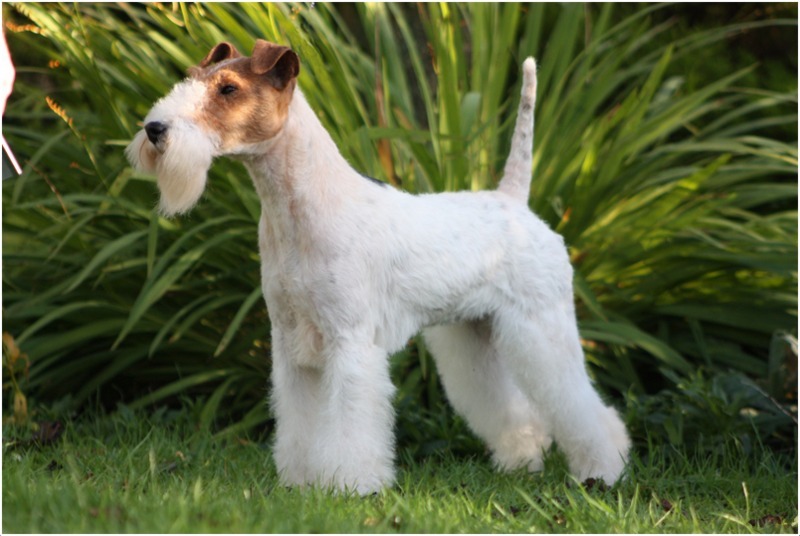 The coat needs to be hand stripped many times in a year and most of the dog owners prefers professional grooming or hand stripping. But the owners can easily do it in the homes upon proper practicing. Check and clean the ears regularly. 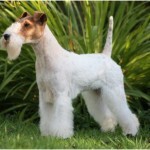 Even though, the Wire Fox Terrier doesn’t shed very much, it requires regular grooming to keep it fresh and clean.